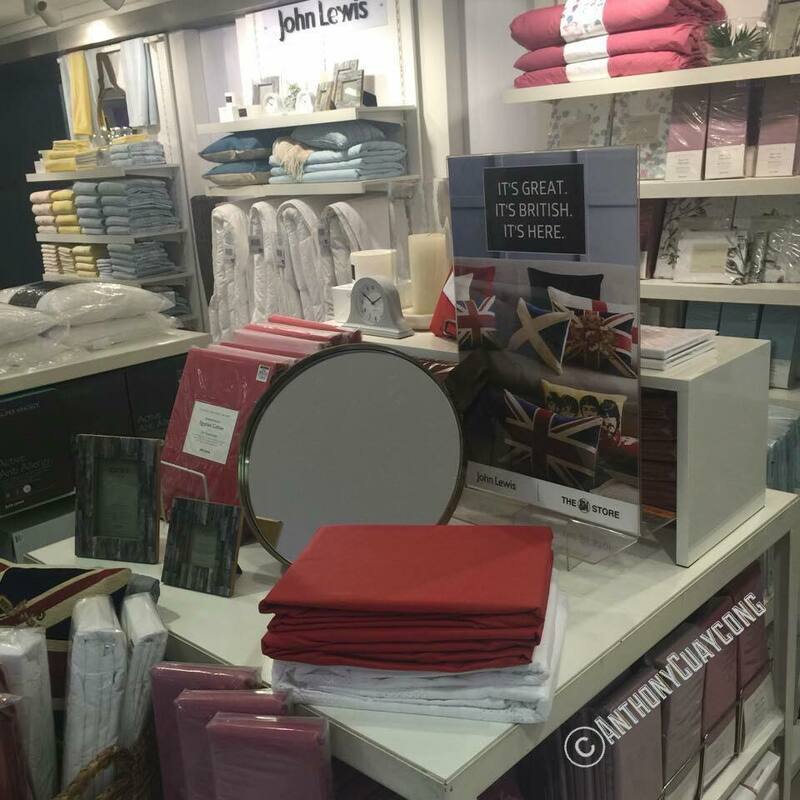 I first stepped inside a John Lewis store on a short visit to London in June last year. My husband and I were meeting some London-based high school friends that day and they suggested meeting somewhere near the Olympic Park. What I didn’t know was that Westfield Stratford City, an imposing shopping center in East London, houses a large, multi-storey John Lewis with a great view of the park. And while the Olympic Park was, in itself, a great tourist destination and made for some really memorable pictures with dear friends, my first visit to a real brick-and-mortar John Lewis store was no less as exciting. I only hoped that my next visit to a John Lewis would no longer need a visa and a 15-hour plane ride. 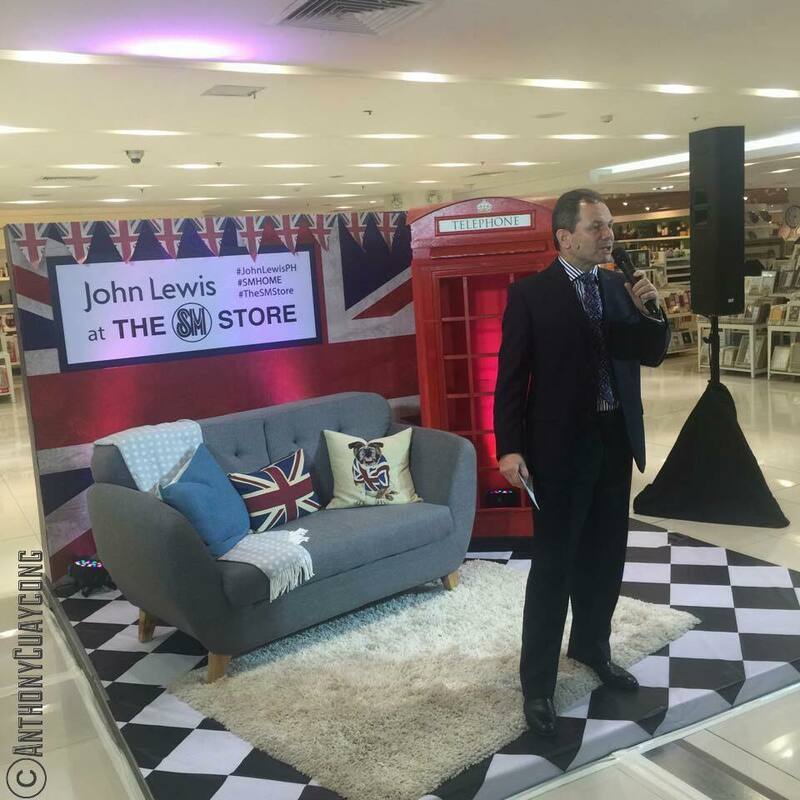 As if my wishes were the stuff of precognition, UK’s John Lewis finally made its way to the country last Thursday, May 21, via the inauguration of the John Lewis Department at SM Home (Level 5) in SM Makati. 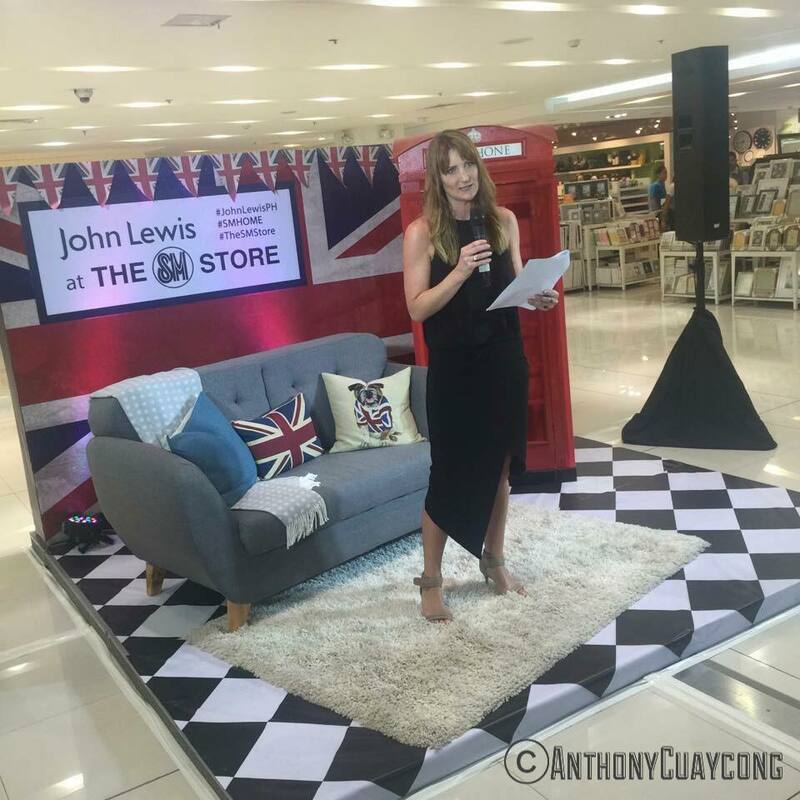 Officials from both John Lewis and the SM Group, as well as from the British Embassy in Manila, were in attendance for the momentous occasion. This partnership between two retail giants took more than a year in the making. That SM prides itself in providing Filipinos with affordable yet great quality products aligns it closely to John Lewis’ corporate identity, making this collaboration a dream come true for local consumers. 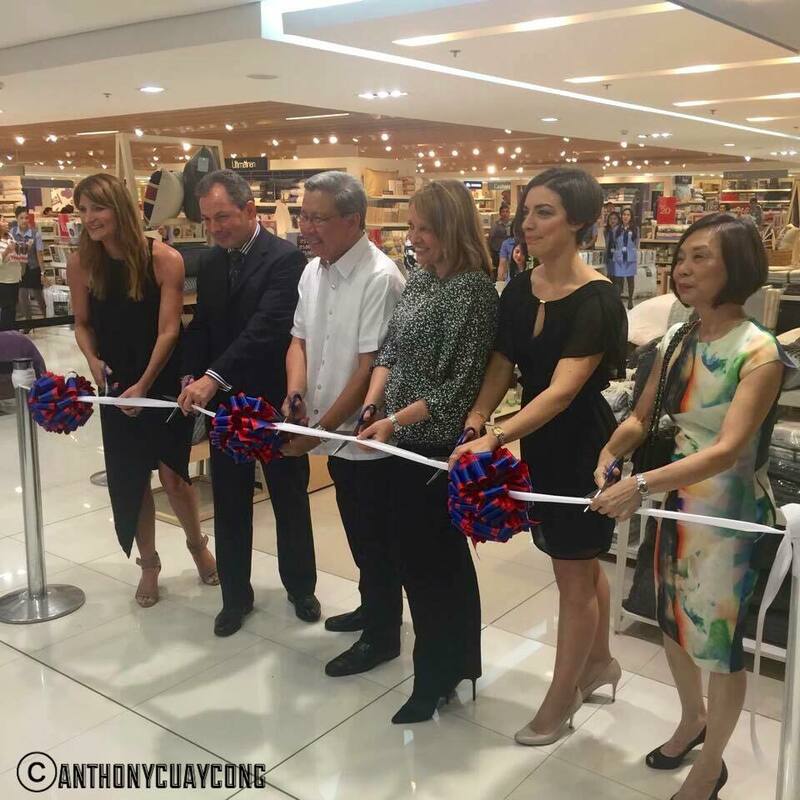 Aside from the recently opened John Lewis at SM Makati, John Lewis Departments will soon be found in 10 other SM locations- Aura Premier, Megamall, Mall of Asia, North EDSA, and Southmall in Metro Manila, Cebu and Lanang (Davao)- both major provincial hubs, and three Our Home stores. This move to the country follows its successful introduction into the Asian market in 2012 through its partnership with South Korea’s Shinsegae Department stores. To date, seven of these concessions are in operation, selling products from John Lewis’ exclusive furnishing lines. 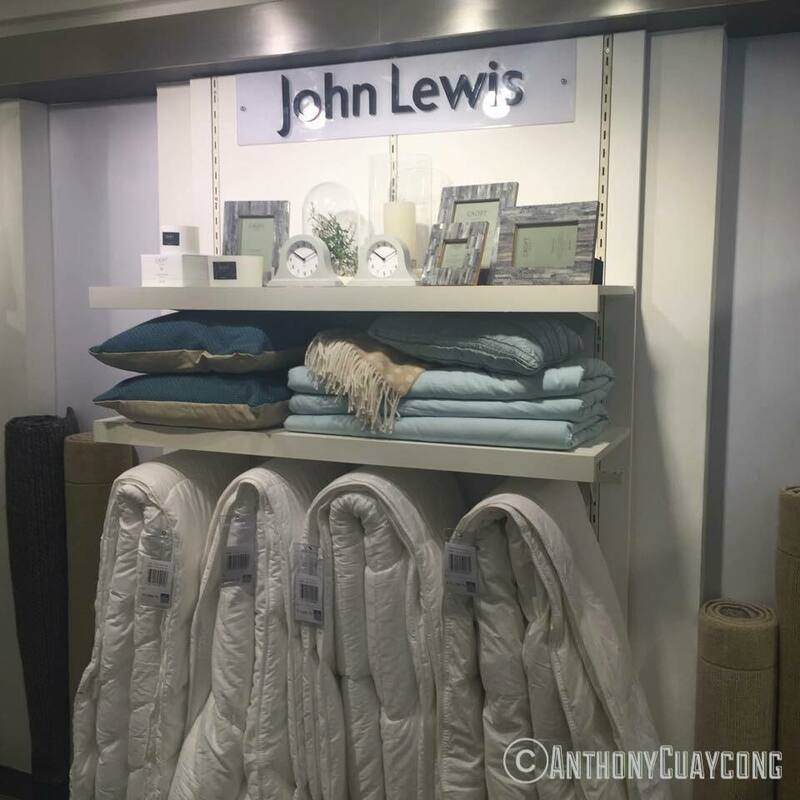 The success of this joint venture has prompted John Lewis’ expansion into other Asian markets, with the Philippines’ SM Retail and Singapore’s Robinsons (to launch in July 2015) as its handpicked partners in these collaborations. It is noteworthy to mention that the Philippines is only the brand’s second international market. Each John Lewis Department of these major SM operations will feature own-brand home products in a 300-1000 square feet dedicated selling and display area. Like South Korea’s shop-in-shop model, the JL-SM partnership focuses on bringing the British lifestyle through bed, bath, tableware, and home accessories. More than that, however, John Lewis brings with it its “Never Knowingly Undersold” policy, a guarantee of service, competitive pricing, and quality which has been the cornerstone of its business since 1925. The first John Lewis store opened its doors to London in 1864. It was a humble enterprise that grew from a single haberdashery to a 4-billion-pound business. One hundred fifty years later, it continues to grow, innovate, and open new doors to the world. 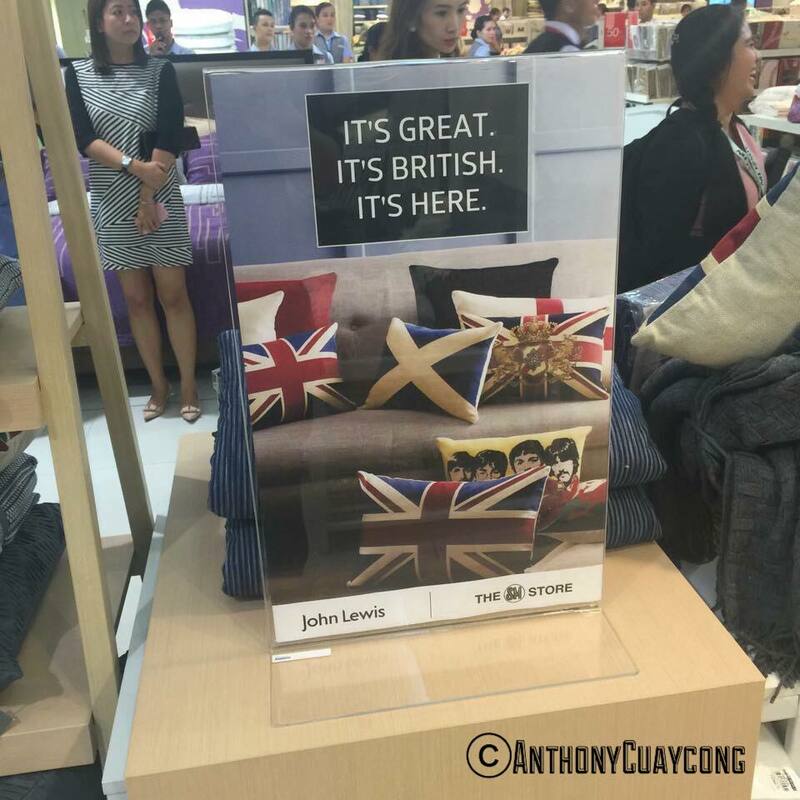 The Philippines welcomes you, John Lewis, with open arms! Mabuhay! 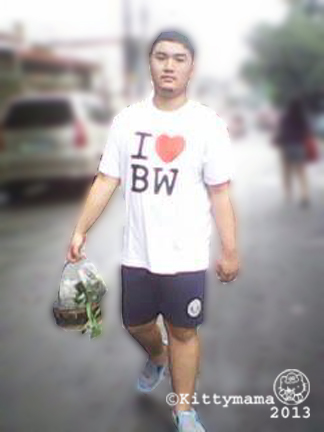 Recently, however, we found something that actually excited him, and guess what it is- food shopping! 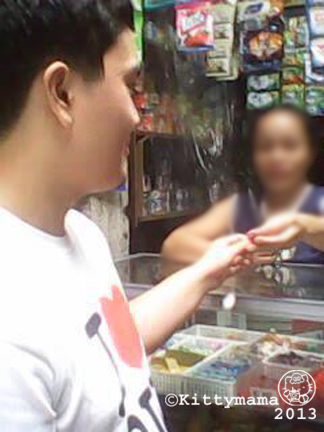 And I don’t mean just food shopping in a sanitized, high-end grocery or supermarket (which still confuses him somewhat); this young man loves all sorts of markets, from the dinky sari-sari (convenience) stores scattered all over our small neighborhood to the talipapa (temporary wet market) a couple of streets away. And while he never, ever, ever goes out unaccompanied by an entourage of devoted groupies, he always savors the chance to say hello to the neighbors and be part of our little barrio. It makes my heart sing when he waves back to the people in the street like a celebrity. You have got to be amazed at his perseverance to become part of people’s lives, even when many others have given up hope in him. 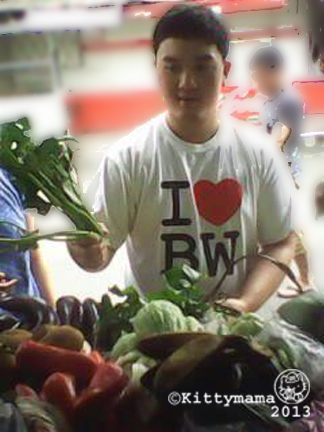 He loves to buy vegetables for his favorite meal of sinigang (braised pork in tamarind stew). 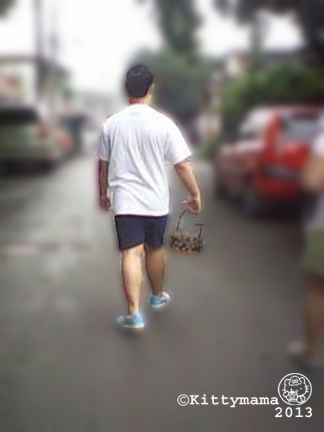 Then he does a short sidetrip to buy a packet of cookies, a reward for good behavior. When Uniqlo opened its doors and launched its first store at the SM Mall of Asia in June last year, it was welcomed by long lines and huge crowds that went through stocks like locusts. I wasn’t able to make it on the first week but had the opportunity to visit a little later when the crowds thinned a bit.I picked up some shirts for Alphonse and the nannies (they made for really great Christmas presents) and regular fit jeans for my husband. Unfortunately, their sizing did not accommodate Alex’s proportions or mine, so we ended up with nada. Still, the shirts I got for Alphonse proved to be one of the best purchases I’ve made in years. Alphonse shreds his clothes. Most of them have very short lives because of his sensitivity to cloth textures, marked seams, and irritating tags. We were glad that he took to his new shirts without fuss and they have been spared of this cruel fate. Now, Uniqlo shirts are staples in his wardrobe. Through Uniqlo’s Facebook page, we also found some garterized linen drawstring pants and they have been been very useful since he gained so much weight in the last year. 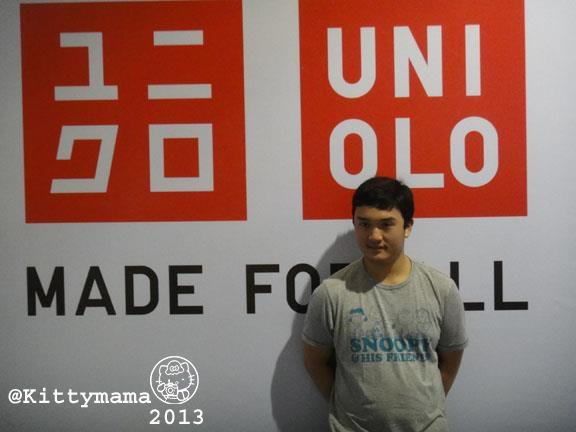 Also, with the opening of Uniqlo SM North EDSA The Block, shopping for Alphonse’s needs issuddenly a lot easier. He loves his Uniqlo shirts! Mama got him the Snoopy ones. I know I said nothing fits me in Uniqlo, which just about debunks their being “Made for All,” but just before Christmas, I found a couple of shirts for me. They were raglan Hello Kitty shirts that were stretchy and roomy enough to fit me. Extra large did the trick, heehee. I got two of the white ones and two of the black ones, just to make sure. I haven’t found any new ones that fit me, but I am quite happy with them already. 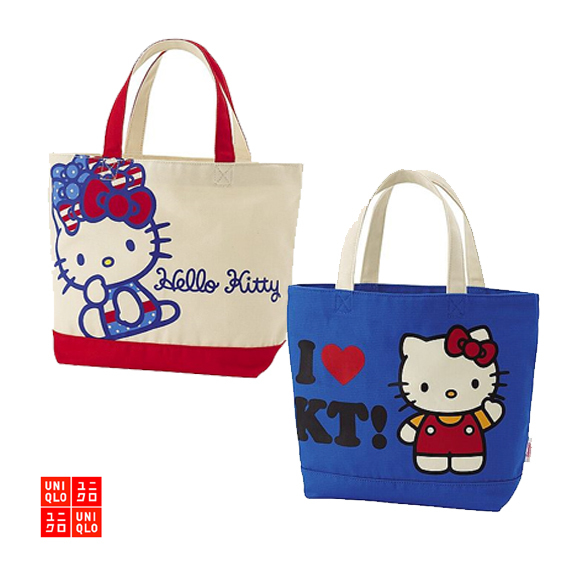 and here are the Hello Kitty totes. The small totes measure 10 x 14 x 5 inches (HxLxW) while the big ones are 12.9 x 18.5 x 5.51 inches (HxLxW). Each design comes in two sizes. The small tote retails for PhP590 while the big one sells for PhP790. I dropped by the store last week to check them out and get one. They are open, zipperless bags that are made of thick canvas so they are perfect for carrying books and groceries. The material is washable and durable so it can stand lots of heavy use. You can bring them to the beach too! 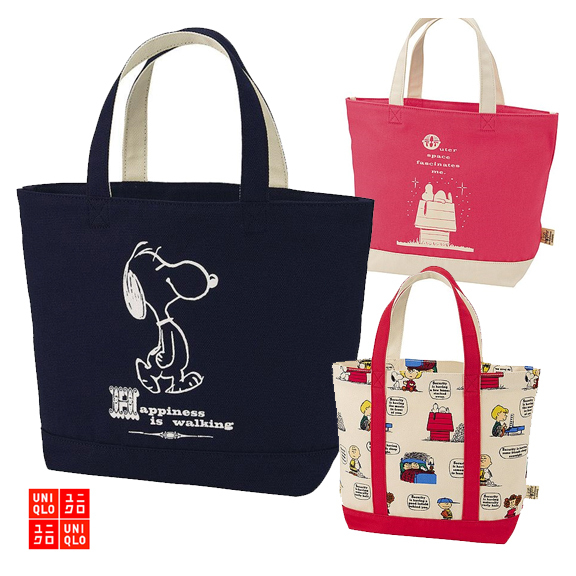 So next time you drop by Uniqlo, why don’t you spring for one or two of these gorgeous totes? I was at Sanrio Surprises at MegaMall last weekend, drooling at a very nice, if expensive, teeny weeny purse. There were so many nice things on display that my head was set on “SPIN” the entire time. (I was going to put in a picture of Linda Blair’s head turning 360º on her shoulders but I figured I’d be the one having nightmares later on.) My budget was shot after buying Christmas presents from the Toy Kingdom sale but I did bring home a couple of great stuff- a Hello Kitty Christmas diorama (on sale! how lucky!) and a Hello Kitty diecut wristpad. I wish I could have spent more. I wish I could have brought home that purse I was ogling at. But, alas, with the holidays coming up, the List comes first before my own wants. I used to be a complusive Kittyholic. I emphasize the words used to be, because I hope I am not that way anymore. For years and years, I I hoarded almost everything I could lay my hands on, splurging on things that caught my fancy even without much thought. I even spent my the better part of my birthdays inside Gift Gate! 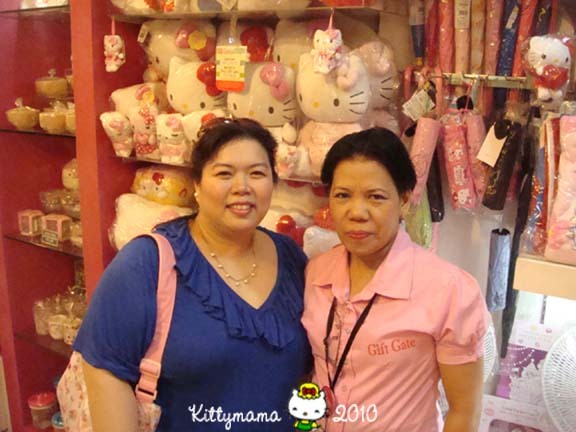 Below is a picture taken just this year on my birthday; my birthday “date” for the last five or six years has been my friend Ms. Jo Pantaleon of Gift Gate/Sanrio Surprises. Controlling my Kitty impulses hasn’t all been that easy. With age comes wisdom, or so I’ve always hoped. As I grow older, I have become more discriminating with the Hello Kitties I collect. 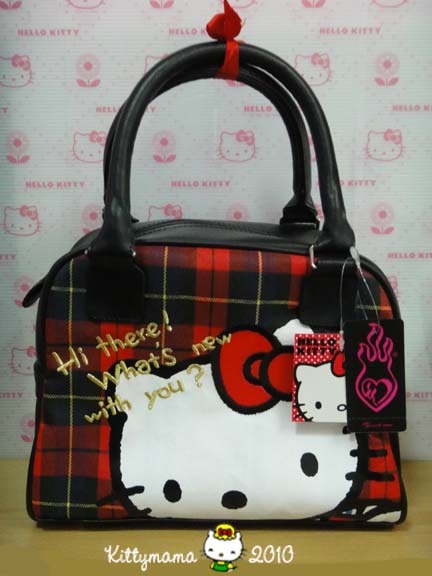 These days, I no longer feel the nagging pressure of having to own everything stamped Hello Kitty; I can look at one and appreciate it without buying. That’s how much my sense of shopping has matured in the past year. 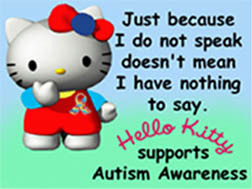 It’s always a compromise- my desire for Hello kitty and the “functionality” and “usability” of these things in my life. The things I like looking at are often not things that function well with my life so even as I desire them, I must always go through a mental checklist to weigh the costs of ownership. Wll I use it often? If I answer YES to all, then the purchase is almost always guaranteed. Even just one NO changes the balance of the entire thing. If there are things I’ve given myself permission to own, however, it would be Hello Kitty clothing and shoes. Who doesn’t need shoes and clothing? 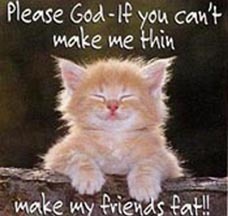 And since I need them more as my body shape vacillates, this particular form of Kittymania is perfectly reasonable and absolutely excusable. My husband got these for me recently at Torrid, haven for the plus-size Kittyholic. Our local Sanrio stores carry only regular sizes so I am hardpressed to find anything in my size. Fortunately, there’s Torrid to fill in the need. 🙂 I do have to thank my sister’s husband’s brother for carrying these home for me on his recent trip to the US to visit their mother. Thank you, John and Alexis! 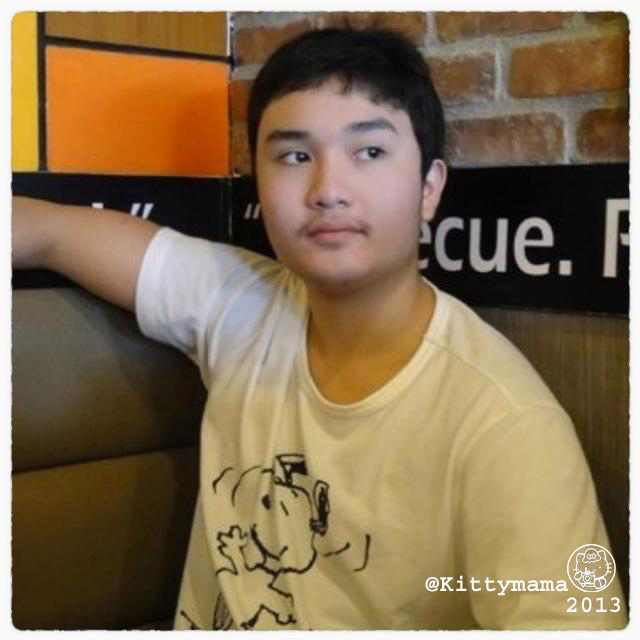 This Kitty momma ♥ you to bits! I love all these shirts but I love this one most especially- ooohhhhh! Hello Kitty….Zombie! I knew these were coming so I had been waiting for them. But A never lets me off without a surprise so guess how the shirts came home? In this cutest bag ever! Whatever restraint I mustered has worn off with this absolutely divine gift! I am gushing with cuteness! Ahhh, HK Shirts, shoes, bags and purses- I’m a sucker for them. Guess this habit is much harder to break than I thought. I hadn’t been feeling well these last few days. I think I must have picked up a bug when I went shopping last Friday. 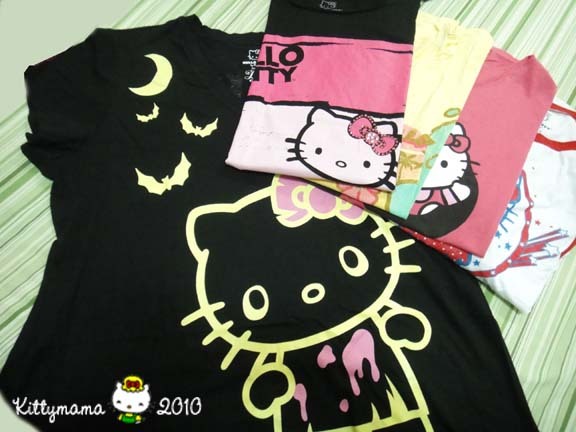 And while I was very happy with my Hello Kitty finds (a new lamp, a pink mousepad, a pink optical mouse, a diecut keychain, an iPod nano skin, some water bottles, a mug, a cube clock , perfume atomizers), I had to wade through a throng of people just to complete my personal shopping list. And I still haven’t finished Christmas shopping! So this morning, I vowed to take it easy for a while. I sat down, started checking email, and before I knew it, I had spent the better part of my morning reading a thirteen-year-old girl’s blog! I loved Angie’s Blog! (As you can see, she’s the newest addition to my blogroll. ) 🙂 Who knew a thirteen-year-old could be so cool on the Net? I have to admit my ignorance when compared to a computer savvy teenager (yes, she is officially a teenager; she started her weblog at age twelve!) but I am really grateful I have the opportunity to see the world through a young woman’s eyes. And if you see some really cool stuff on my pages in the following days, thank Angie– I picked up a lot of new things from her.